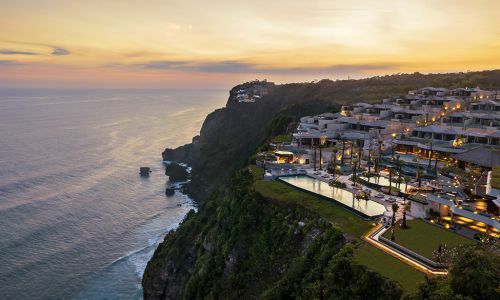 Beautifully perched on top of a cliff highlighting amazing scenery with gorgeous ocean views, this new Six Senses Uluwatu Bali hotel boasts elegance and beauty in this stunning part of Indonesia. 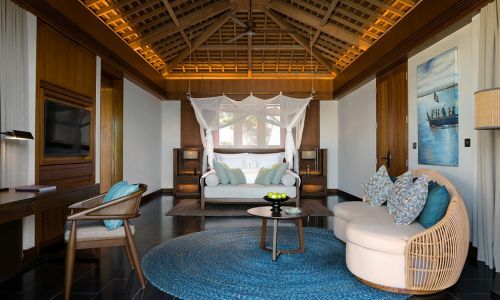 Opening 1st November, this spectacular resort houses a selection of 103 Suites and villas offering outdoor decks, spacious bathrooms and ultimate world class service. 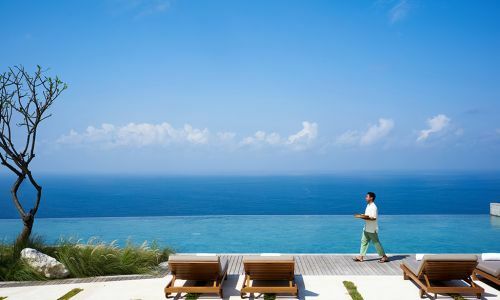 Guests will be in awe of the stunning 180-degree views Indian Ocean and the Pecatu cliff as well as a personal butler to ensure you have the most luxurious stay possible. 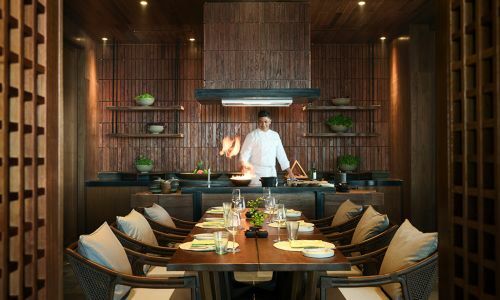 Facilities include a dynamic range of Balinese and International cuisines made with the freshest local ingredients from the organic garden taking guests on a culinary journey of mouth-watering flavours. 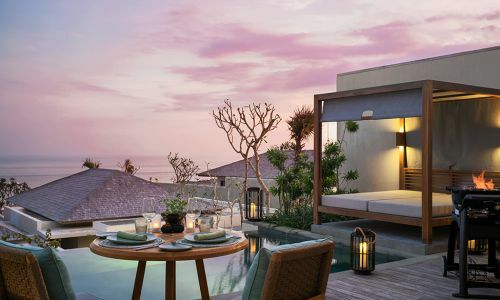 Six Senses Uluwatu Bali features a revitalizing Spa offering a range of massages and well being treatments including 25% discount on Wellness Screening if booked within the first 24 hours of arrival. A state of the art gym is also available to encourage guests to keep up with their daily fitness regimes. An array of fun engagng activities are on offer including energetic water sports, thrilling helicopter rides and tranquil boat excursions. The nearest International and Domestic airport, I Gusti Ngurah Rai International Airport is just 45 minutes away from the resort. Children 0-11 years are charged USD $75 per person per night. The rate is inclusive of 10% service charge & 11% applicable taxes. Crudo: A unique dining concept in Bali, serving various Japanese delights in an interactive dining area. Rocka: Offering a range of Europeon, Asian and Bali cusines and a wide variety of beverages including an interactive Chef's Kitchen. Rocka Edge: An exciting menu with the freshest ingredients including the catch of the day complimented with your favourite vintage wine tipple. The Cliff Bar: Serving freshly oven baked specialties with a mix of South East Asian spices whilst soaking in uninterrupted sun set views from the poolside. The hotel caters for the little ones by hosting a Kids' Club (Grow with Six Senses) for children aged 5 years and older, complete with children’s swimming pools and fantastic engaging activities keeping them entertained throughout the day. Guests can enjoy complimentary open-air cinema theatre daily - Cinema Paradiso - whilst taking advantage of the complimentary all day long delicious home made ice cream. Organic Garden - organic mushroom hut provides organic produce for use in the hotel's restaurants and organic ingredients for the Spa. Earth Lab – a centre for sustainability practices and for sharing the hotel's sustainability initiatives with guests. Complimentary access for all guests. Alchemy Bar – a center for creating daily use lotions, scrubs and cosmetics using homemade ingredients which are chemical free. Soap making classes from daily household items. Charcoal making classes from used coffee beans which can be done at home as well. Culinary studio to learn culinary technique and interact with our partners to learn more about day to day meal choices such as choosing the right coffee, roasting coffee at home, making gourmet cheese at home. 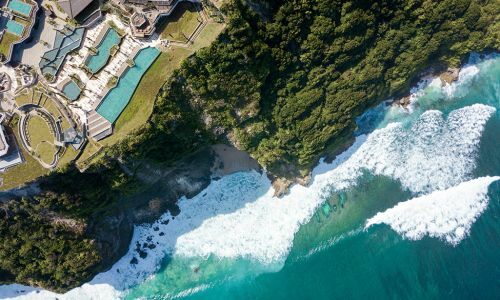 Six Senses Uluwatu, Bali is in Pecatu in the southernmost tip of Bali which is the home of Pura Uluwatu, the sacred temple considered one of the island’s core spiritual pillars. 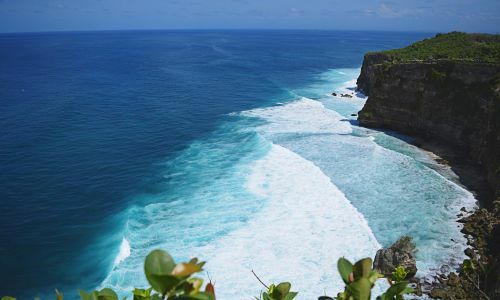 Uluwatu is where centuries-old tradition combines with beautiful beaches, inviting surfing spots and an eclectic wellness and dining scene. 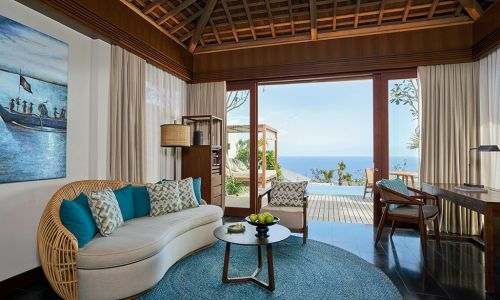 The beautiful cliff-top Balinese-inspired resort offers uninterrupted ocean views from every aspect. 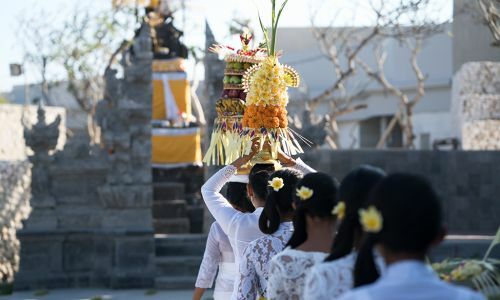 During your stay why not challenge yourself to an array of wonderful activities to cross-off your bucket list in Bali, from ice-cream making, to making charcoal coffee beans, to experiencing the mystical martial art of Mepantig. For those more interested in being on the ocean and not just admiring it, why not take up some light tackle fishing or maybe surfing lessons followed by a romantic champagne sunset cruise for two in the evening. The luxurious hotel Spa offers guests the opportunity to take time out to relax and unwind with some ‘me time' whilst the children are entertained at the Kids' club. The Spa offers an extensive range of massages and treatment leaving you feel completely revitalised and rejuvenated during your stay.